Houses situated atop very steep hills provide dramatic vistas, privacy and an unobstructed view of the stars. A major problem with the configuration is building a driveway from the road to the house that can accommodate all types of personal and commercial vehicles in various weather conditions. Houses located on hilltops need driveways for access. A driveway situated perpendicular to the road in a straight line to the house is the easiest to build, yet impractical for navigation in inclement weather and gives the home and landscaping a cold, angular appearance. Building a driveway that gracefully curves up the hillside creates an elegant setting and is easier to climb when covered with snow or ice or slick with rain. 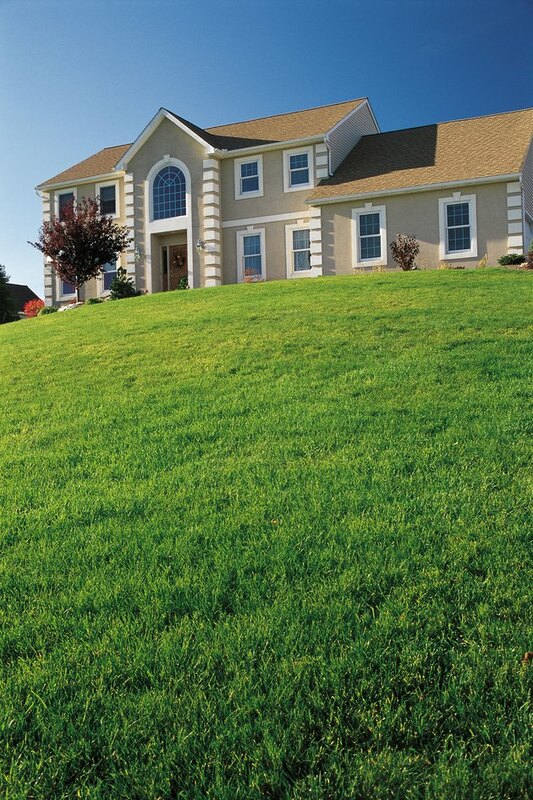 If the hill is big enough, an S-shaped driveway design is an attractive choice. Another aesthetically pleasing option is to construct the driveway on a man-made ridge cut into the side of the hill with landscaping or retaining walls on either side of the crest. To accommodate large vehicles, the straight stretches of the driveway should have widths between 10 and 12 feet and have curves a minimum of 14 feet wide. To make the driveway navigable in all types of weather, avoid rises above 15 feet for every 100 feet of the driveway's length. The turn around space in front of the home should be a minimum of 12 by 18 feet to give large delivery trucks ample room to unload goods and turn around without infringing on the lawn. A large turning area also provides space to park lawn maintenance equipment or off-road recreational vehicles. In addition to planning the design of a steep driveway, you must also decide what surface to install. Gravel driveways are less expensive than hard surfaces such as asphalt or concrete and provide good traction under all weather conditions. Since gravel tends to travel to outlying areas, build a stone or brick barrier in between the driveway and surrounding land to prevent gravel from becoming incorporated in grass and landscaping and interfering with mowing and lawn maintenance. Have the gravel professionally packed every few months by a grader with a roller that embeds the gravel into the dirt and keeps it from spreading. Concrete or asphalt covered driveways make the house and lot look neat and finished. But if your house is located in a region that receives a lot of ice and snow, the driveway may become impassable during winter months. 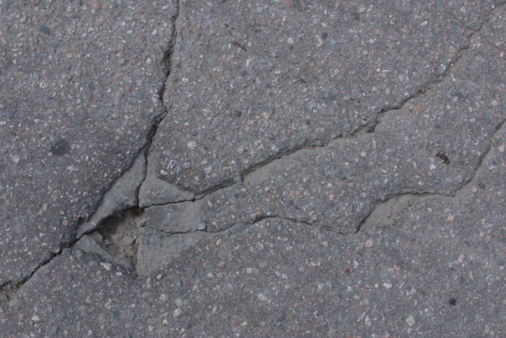 Mixing small stones or pebbles into the poured surface gives the driveway tread. Hydronic snow melting systems installed under the concrete or asphalt keep the driveway clear through a system of submerged coils that circulate glycol antifreeze and water under the coating. Electrically powered snow melters work well but use a lot of energy. Using salt to melt ice and snow deteriorates the finish of the concrete or asphalt.